So, it’s polka dot – well someone has to make them and there is a lot more to it than meets the eye. This one uses a very modern fabric for an old design, one that is slightly shiny as can be seen. 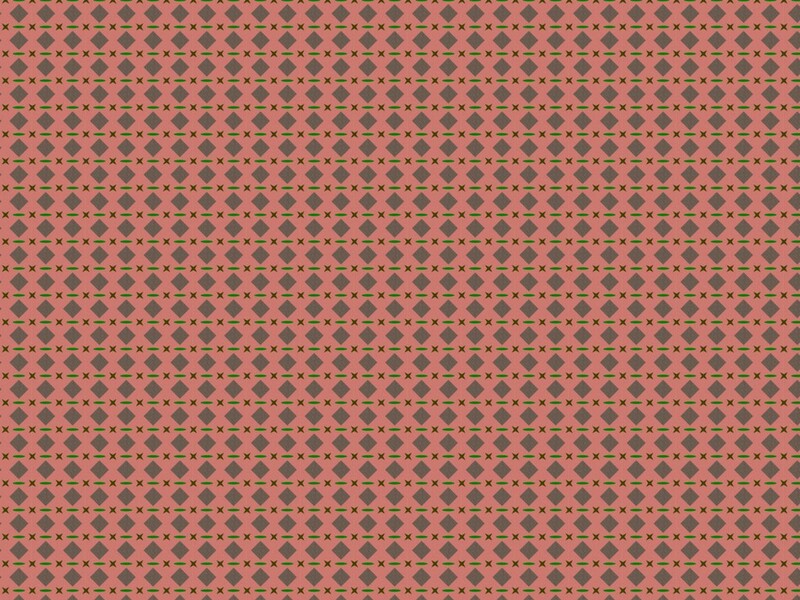 I think this enhances the look of the dots very well and would make the fabric look a little out of the ordinary (if it were real). The design was created in Xara and the assembled and rendered in Daz Studio 4.7. Also, the system tells me that I am now passed 250 posts – hurray, seems like only yesterday I started this blog. 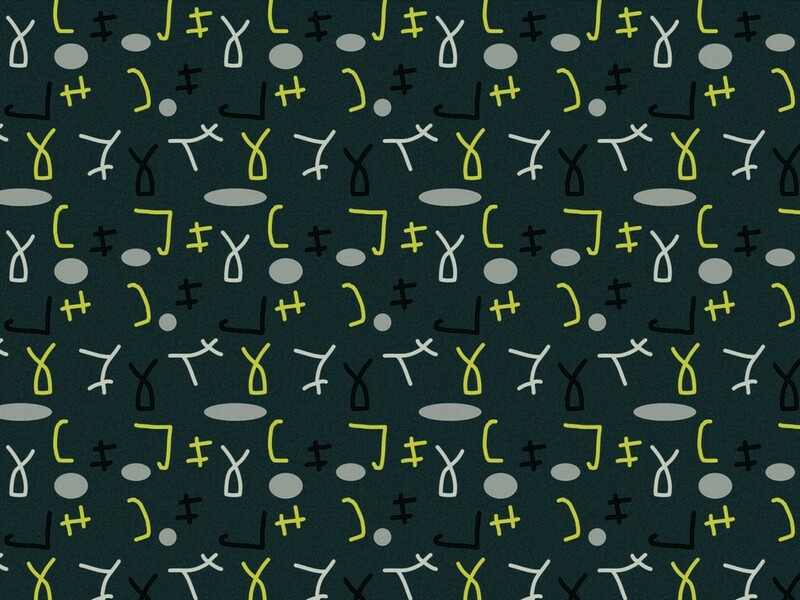 A very nice and slightly more modern pattern which still owes more than a passing gratitude to mid-century design. Styled as a fashion fabric in a darker mood, this is shown here as a swatch and also as a top on the Genesis2 model Helen in front of the lovely doorway that looks so much like the doors in Belgium. 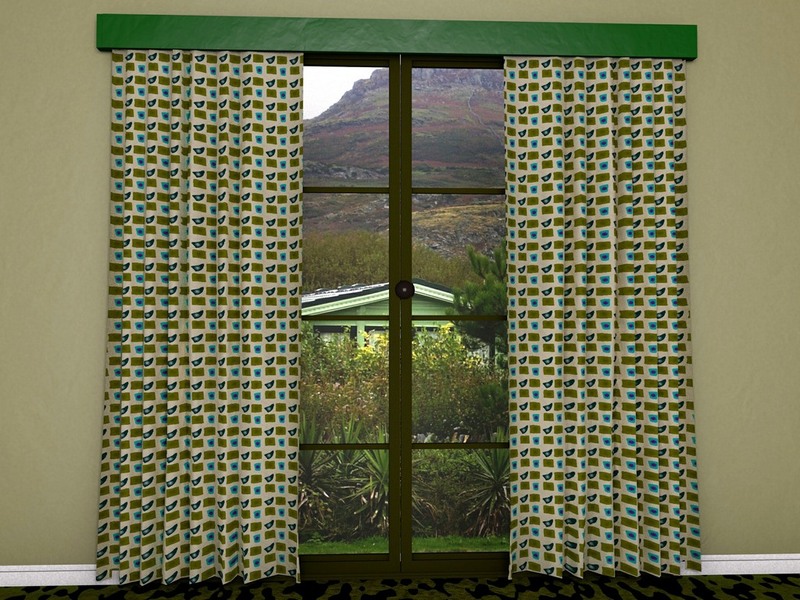 A very good mid-century inspired fabric design that is used to good effect on these curtains that utilise both the colours and some motifs from that period. 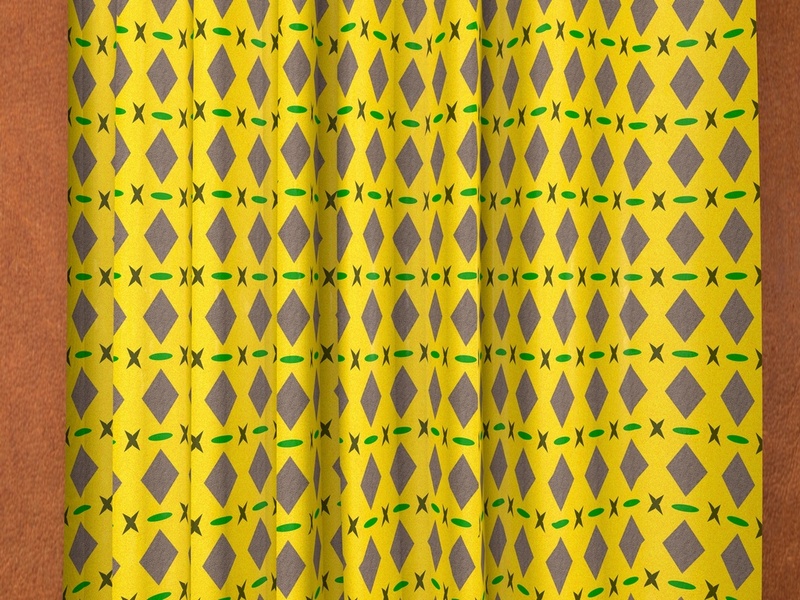 The early period of the 1960s and late 1950s were a very inventive time for patterns, particularly textile designs, and these excellent curtains use a design that benefits from patterns created in those decades. The swatch was made in Xara Designer and then the material was created and rendered in Cinema 4D using the new Irwan cloth shader. An excellent mid-century, 1950s inspired material that uses very traditional and universal motifs for what is both a good period and modern look. 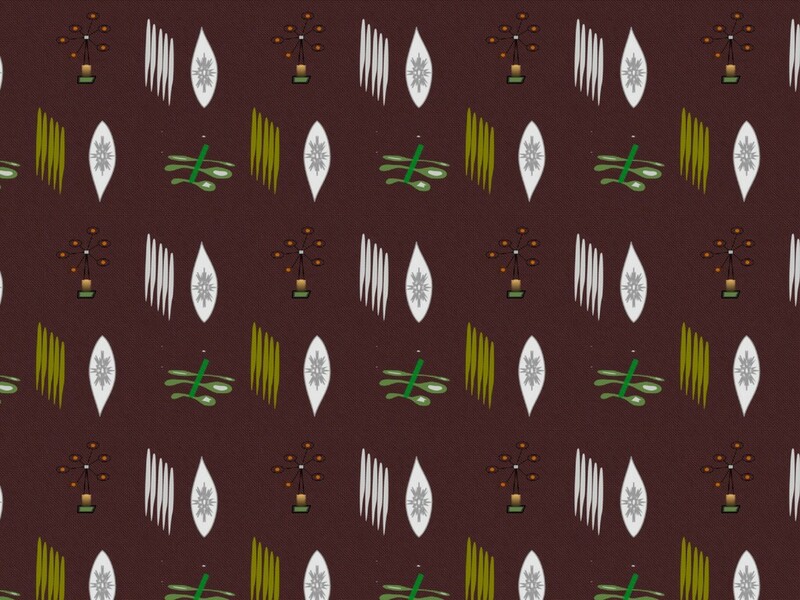 The pattern is shown here as a swatch at a very small scale and as a representation of a length of material in a different colour to show its versatility. It was intended that this would make a fashion fabric but it could also have other uses such as for curtaining. The design was created in Xara Designer and then the material was made and rendered in Cinema 4D. Mid-century 1950s inspired material that, this time, is shown as what would have been a very fashionable mid-century curtain material. I have to be honest, it did not translate as curtaining as well as I had hoped but I am still more than pleased with the end result. The colouring is unusual and I hoped that the blue in particular would be a little more prominent than it has turned out to be. 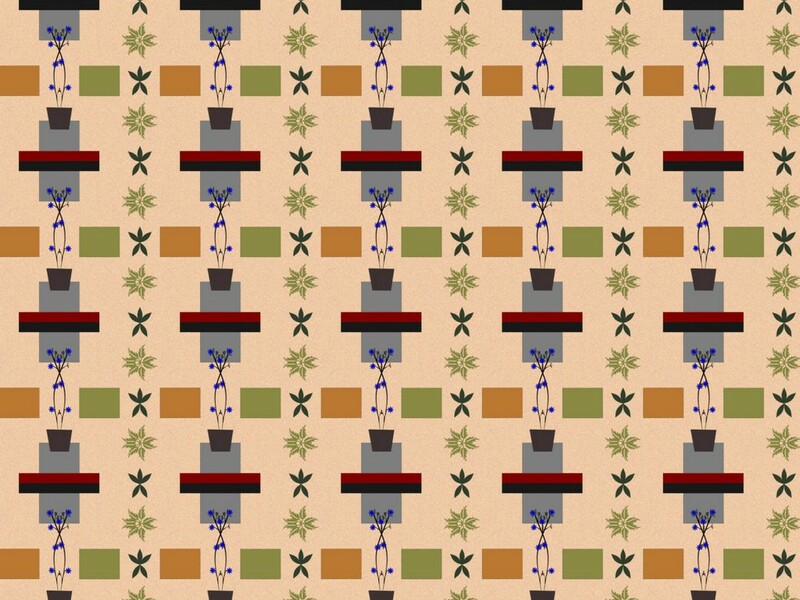 As usual, the pattern was made in Xara Designer and the result assembled and rendered in Cinema 4D. These patterns are created to resemble the floor tiles that were sold mid-century made into linoleum sheet, it was a pattern that sold in considerable quantities and it’s easy to see why. Lino like this was easy to keep clean, simple to lay and had a long lifetime before it began to look shabby. There are two quite different designs here; the first is a warm, Mediterranean type of colour while the other is stronger, harder and much more no-nonsense. 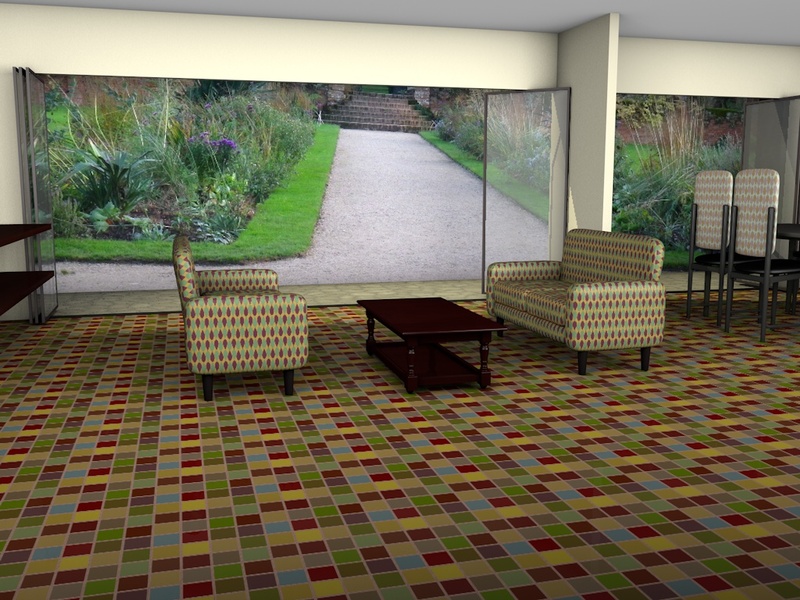 Either look good in the demonstration room (I pinched it from the modern dinner party scene I created some months ago). Warm colours, you would think, would be the first choice in the cool climate of the UK but I think the stronger, cooler colours look much better but then that is just my opinion. The patterns were made in Xara Designer and assembled and rendered in Cinema 4D. 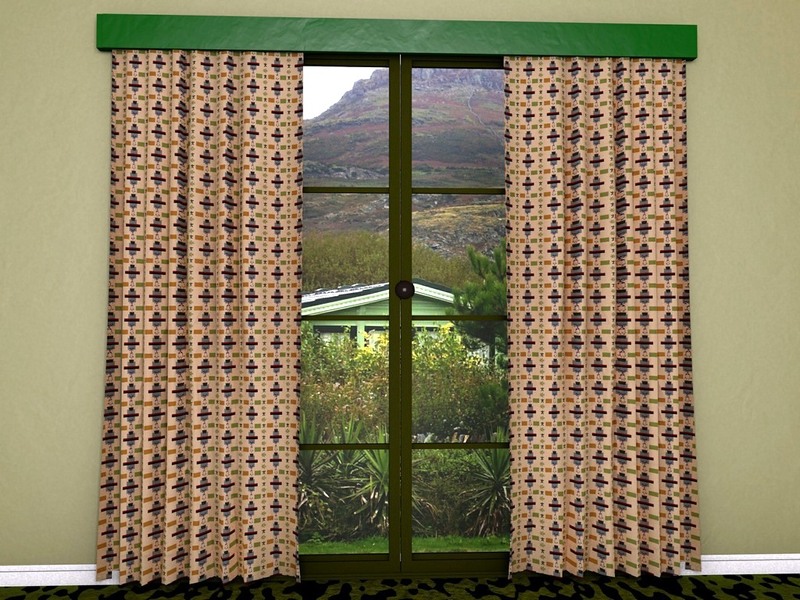 More curtains and, again, using a mid-century type of pattern which is designed to be used at about the scale shown. I have included the mosaic pattern so that it is possible to see the design clearly as this is only apparent up close to the fabric. 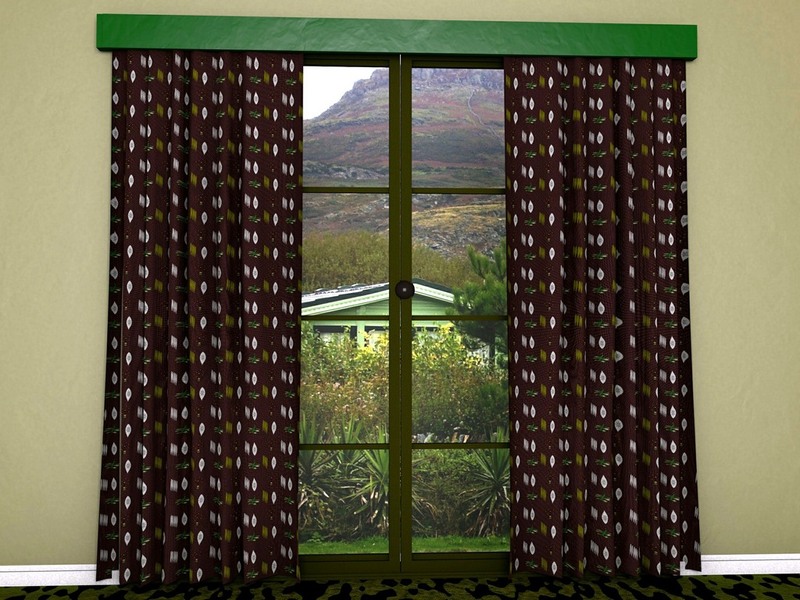 These are nice curtains that, in this colour, go well with the very down-played room that I am using. For a warmer look the curtains could be coloured in a pink shade which would be very effective in a warmer living area. Created in Xara Designer, this was assembled and rendered in Cinema 4D using the irawan cloth reflectance channel.